It's true: every phone in every T-Mobile store in the U.S. will be free on June 19...but folks will have to pay for the required two-year service plan. Those rumors that T-Mobile would be giving away phones for free for Father’s Day weekend, June 19? They’re true. T-Mobile has announced a first-of-its-kind promotion wherein every phone in every U.S. T-Mobile location will be free on Saturday, June 19. Getting those free phones will mean signing up for a qualifying two-year family plan…but folks looking to buy a smartphone are staring those two-year contracts in the face anyway. T-Mobile’s promotion comes just a few days ahead of Apple’s much-anticipated retail launch of the iPhone 4, which hits Apple stores and retail partners on June 24. T-Mobile is, of course, using the promotion to tout its own smartphone lineup, including the Android-powered Garminfone (with premium navigation features), the HTC HD2, and the myTouch 3G Slide. 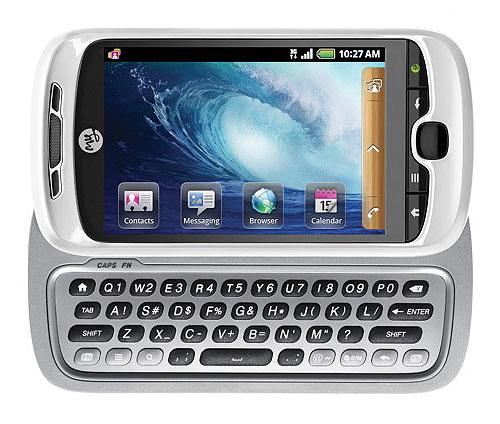 T-Mobile also carries phones from RIM, Nokia, Samsung, Sony Ericsson, Motorola, Sharp, and HTC. T-Mobile will open its doors at 8:30am on Saturday June 19. The free phones promotion will only be taking place at locations owned and operated by T-Mobile, and mail-in rebate and restrictions may apply to some purchases. To get a free phone, folks will have to sign up for two years on a qualifying family service plan; there’s a limit of five lines on T-Mobile’s family service plans.